Sharing the stories of the oyster through every farmer, oyster bar, and industry enthusiast. Contact me to feature your story. As I begin this post, I am revisiting personal pastimes of long, sticky drives down south with my family, and the changing smells from oak to native pine, to dewy marshes and mangroves. The Florida panhandle holds an abundance of my childhood memories. Winters were spent on my Grandparents' farm in Quincy, Florida, and I have raucous recollections of hopping hay bails, hunting for treasures in old barns, and slipping delicately through barbed wire fences to spook neighboring cows. Whenever my parents had more vacation days and patience to spare, we hit the road to Apalachicola, Panama City, or Pensacola. As a child, the crisp white, sandy beaches and emerald hues of the Gulf were all I ever imagined heaven would be like. 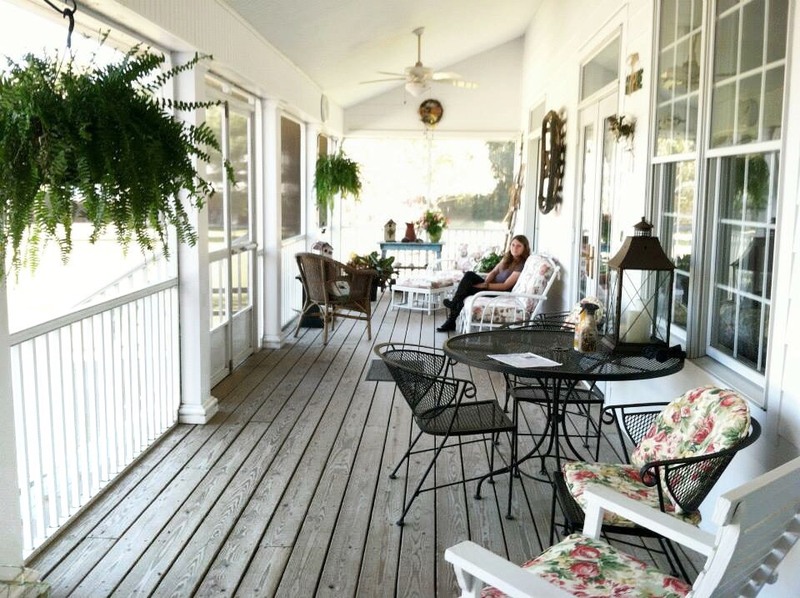 My family farm in Quincy, FL. Despite the environmental setbacks of the Gulf in recent years, the resilience and perseverance of the people and coastlines there amazes me, which is why meeting someone like Terry Strickland is so special. His dedication to gathering people together in a meaningful, unique way to promote Gulf oysters has got me on the edge of my seat. And so... I am aching for October 4-7th in Pensacola to come faster, but before that, there is a story to tell on how this came to be. Peat & Pearls is a highly anticipated week for celebrating the Gulf's most sensational farm-raised oysters, along with some of our favorite vices (think a scotch, a cigar, and a scene from Peaky Blinders). Everyone who grows an oyster, serves an oyster, or just plain loves an oyster should be there to join in a massive advocacy for the Gulf revolution. Terry is the brainchild behind this, and so I was lucky enough to chase him down to share his personal journey and glean the inspiration behind Peat & Pearls. There's more, too. Below, Terry gives us a few highlights for the week that have some of us VERY OYSTERY EXCITED. Virginia: Terry, may you share with us how your own life experiences contributed to your passion for starting Peat & Pearls? Terry: I grew up on the Gulf Coast, so seafood has always been close to my heart. That said, I really didn't get invested in oysters professionally until after 2010. I'm a journalist by training and spent some years working in newspapers in the Midwest. After the oil spill, I moved back to my hometown of Pensacola, Florida, and began focusing on the working waterfronts of the Gulf Coast. In my reporting, I spent a lot of time documenting the decline of wild oyster fisheries in traditional seafood communities like Bayou La Batre, Alabama, and Apalachicola, Florida. Those were tragic stories to tell, involving not only lost livelihoods, but an endangered way of life. At the same time I was reporting these stories, I was also hearing rumors of an oyster revival. This movement was fueled by new aquaculture techniques, but also by a quickening desire among Southern consumers to draw closer to the sources of their sustenance. Flash forward a few years: I had jumped ship from magazine work to tourism marketing. I was making decent money but felt unfulfilled. I had made a lot of friends in the seafood industry during my time as a writer and kept a close eye on the evolving world of Southern oysters. Although the sector continued to grow, Gulf producers struggled with two big problems: First, the market for premium oysters remained limited close to home. To most Southern consumers, the idea of engaging with an oyster the same way one would a fine wine or craft beer was novel, at best. Second, outside of the Southeast, Gulf oysters still had a terrible reputation. Seeing both opportunity and need, I quit my job and started my own ad agency working with small-scale oyster farmers. Peat & Pearls emerged from this work. We wanted to give oyster farmers a platform to showcase their products and tell their stories in a setting that reinforced their status as a luxury product. Our No. 1 goal remains to grow the market for premium oysters in the Southeast and to build the case for Gulf oysters in the food world at large. In the process, we hope to preserve our working waterfronts, instill more "pride of place" in our regional food culture and restore an environment still reeling from natural and man-made disasters. V: What do you feel is so special about the Gulf Coast and the oyster industry there? Terry: For oyster aficionados, I think the Gulf region is interesting because it is just so untapped. Take a state like Florida, for instance. For the longest time, Florida oysters were synonymous with Apalachicola oysters. To most folks, that was where the state's oyster culture began and ended. The Apalachicola fishery produced some delicious oysters, but there was little husbandry involved. These were wild shellfish harvested using tongs and dredges. Now, with the expansion of aquaculture in the state, growers are reviving other, regional appellations of oyster that, in many cases, haven't been seen in decades, and they're using modern aquaculture techniques to do it. The result is a lot more variation in regional merroir and a higher quality of product. Oysters embody the characteristics of their environment. That makes them interesting from a gastronomic perspective, in the same way grapes are interesting. However, it also makes them a phenomenal vehicle for building connections — between oyster consumers, the folks who grow them and the environment that sustains this whole supply chain. As someone who grew up on the Gulf Coast and still calls this region home, that is what is truly exciting about all this. We want to keep elevating the conversation around Gulf oysters. They deserve more respect, not just because they're delicious and fascinating, but because they are important. Oysters are a keystone species, and our entire coastal environment depends on them. If we can get people invested in the story of oysters, we can get them invested in the story of our environment, and if we can convince them to value oysters as more than a commodity, we have a shot at doing some good. V: I know you appreciate a great story. What stories have you encountered along this journey, and how has that influenced launching Peat & Pearls? Terry: The story I always think of is that of the Ward family, in Apalachicola, Florida. Their business, Buddy Ward & Sons Seafood, has been a bulwark of the local oyster industry for generations. In recent years, with the collapse of the wild fishery, they've struggled to hang on to this legacy. The family's patriarch, Tommy, has been forced to lay off workers and scale back operations. More than that, he's had to wrestle with the emotional toll of watching his way of life and his family's inheritance teeter on the brink of ruin. His son, T.J., abandoned his plans to study history to help shore up the business. Now, he has started an oyster farm under the Indian Lagoon Fish & Oyster Co. brand — in the hope of charting a new course for his family. Those same dynamics are playing out across the Gulf region — families wrestling with changing environmental conditions and trying to negotiate a new relationship with their history, their culture and their environment. At the heart of that struggle is this tremendous love — for one's community and for the water. Peat & Pearls is about supporting folks like T.J. and building more of that love — for the water and for one another — into our food system at large. As for the name, we wanted something that would connote both whiskey and oysters. At a more metaphysical level, we wanted to play on this dichotomy that we really feel is at the heart of our story as a region. We like to say that the prettiest pearls wouldn’t exist without a little grit. The Gulf Coast might be known for its sugar-white beaches and Southern charm, but it was built on the backs of folks with strong backs and salty tongues. We're trying to imagine a new future for our region, to elevate our food culture and build bridges with those on the outside. But we wish to do so in a way that is authentic, inclusive and proud. V: What groups of people do you hope to bring together in October? What do you hope they gain from the experience? Terry: Our event will bring together chefs, farmers and consumers from across the country. We hope that chefs will walk away from the experience with a new appreciation for Gulf oysters and, hopefully, a few business cards. 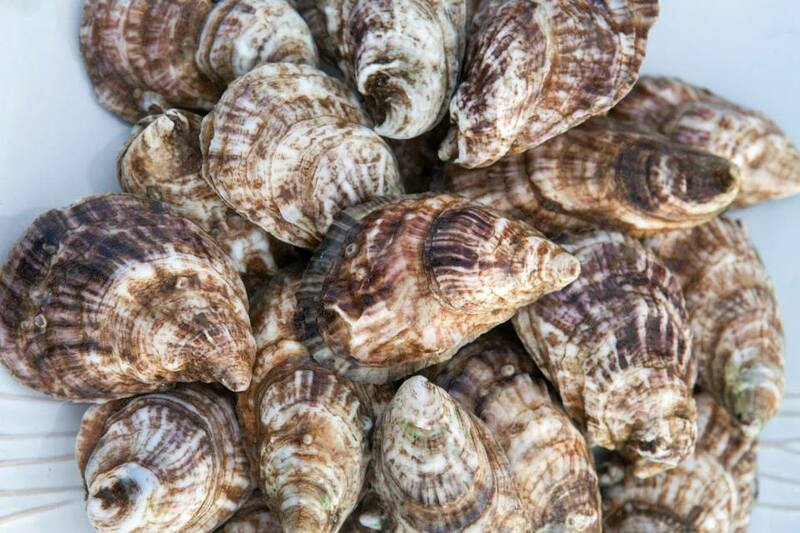 We hope that our oyster farmers will walk away with a renewed sense of pride and hopefully some orders to fill. On the consumer side, we hope for two things. For the uninitiated guest — those who are used to 25-cent oyster nights, tabasco and saltines — we hope to convince them to engage with their oysters in a deeper way, to recognize the stories these things have to tell, and to start asking for them on local menus. For the initiated, we hope to show them that it is possible to source high-quality, premium oysters from the Gulf, and that our region is full of undiscovered gastronomic delights. V: May you highlight some of the Peat & Pearl events you are most excited about? And why Scotch? Terry: Peat & Pearls includes a number of events. However, our largest event will be the Grand Tasting, held on Oct. 7th. This is where we'll be bringing together more than two dozen oyster farmers and celebrity chefs from all over the country. The day's programming will also include whisky programming by Glenfiddich, a cigar garden with My Father Cigars and Cigar Aficionado Magazine, a storytelling salon featuring interviews with chefs, farmers and writers and much more. If I had to choose one event to attend during the weekend, it would be that one. In terms of why we chose to focus on Scotch, it really happened organically. We have a lot relationships in the world of whisky, and it was a pairing that seemed under-appreciated — at least in the U.S. Scotland has a lot of coastline, and folks there are no strangers to oysters. In terms of flavor, Glenfiddich, with its sweetness and light-spice, pairs very nicely with the brininess of Gulf oysters. Beyond this, we saw a natural affinity between the values espoused by Glenfiddich and those of the farmers we represent. Glenfiddich has been held by the same family for 130 years. They are independent and, largely because of this, dedicated to pushing the boundaries of their craft. At the same time, they remain grounded in tradition, craftsmanship and pride of place. V: What is the vision going forward with Peat & Pearls? How do you hope it evolves? 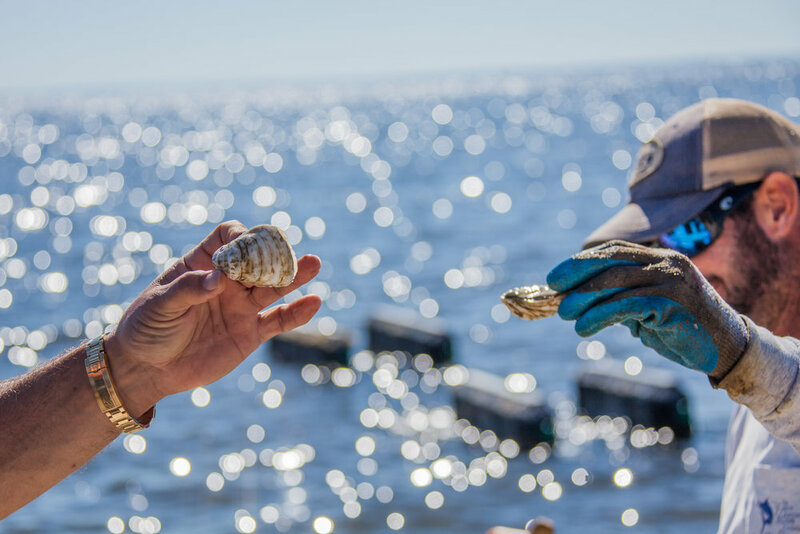 Terry: Our plan is to take the model we've developed here in Florida, as well as the relationships we've established, and replicate it in other markets where the premium oyster market is growing. In each location, we plan to focus on regional producers. We think that people are hungry for a higher-calibre of oyster event, and we want to give it to them. We're firming up our lineup now, but we plan to prop up Peat & Pearls events in at least three new markets in 2019. That said, I would encourage folks to sign up for our mailing list and be on the lookout for some big announcements in coming months. A big thank-you goes to Terry for sharing his personal story and getting us excited for Peat & Pearls 2018 in Pensacola. It will be an incredible opportunity to meet so many talented oyster farmers, chefs, organizers and fellow oyster lovers. You can visit Peat & Pearl's website for the most up-to-date information, and follow them in Instagram for the scoop as well! Steven Gray Photography can also be found here and followed on Instagram at @cameraandflask See you there. Subscribe to get my updates! Oyster reviews and more, straight to your inbox. Get updates on the oyster adventure.